Their success comes with a history re-write in the manner that they extended their unprecedented winning streak on the local scene with six titles in a row. Six years in the setup, six trophies, one City Oilers. The local basketball giants are indeed playing basketball out of this world. Their success comes with a history re-write in the manner that they extended their unprecedented winning streak on the local scene with six titles in a row. Only Falcons come close in this manner with three in a row(2002,2003,2004). On the most championships, they have equaled falcons in numbers (six) and what away for the Oilers to clinch this season’s title with a sweep of Betway Power 5-1 after the 81-73 win in game five Wednesday night at Lugogo Indoor Stadium. Even when there is a general feeling that they have since dropped from the peak of their powers, the NBL is still nothing of a head scratcher. 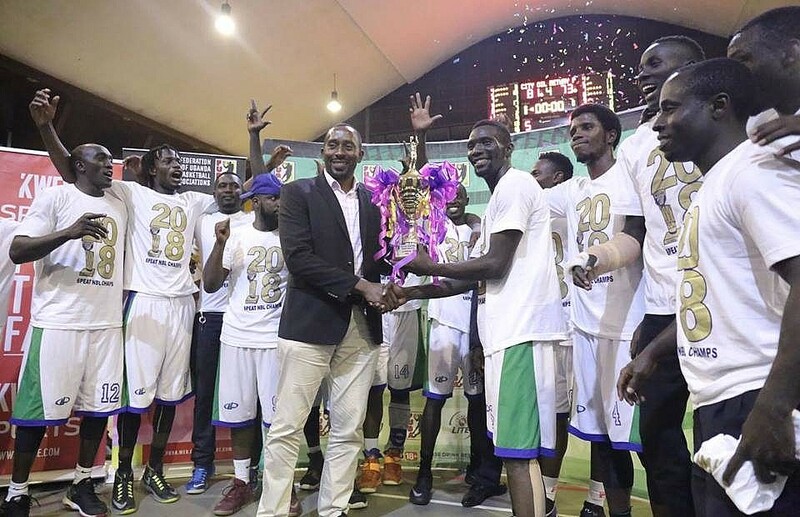 Nonetheless they have this season found themselves on the back foot, playing catch up in both the semifinals and the final against KIU and Betway Power. But like the champion they are, Jimmy Enabu and Co have picked up their pieces to suppress their opponents at the most crucial moments. Conversely besides the huge financial muscle there is wide basketball knowledge in the club set up which definitely gives them an edge over their rivals. The club took over a winning coach in Mandy Juruni. He had already won with the Warriors in 2012. Club chairman Mohammed Santur learned just so much about the game while in the United States. Reasonable exposure especially in Zone 5 and the Africa Cup places the Oilers right above the rest in Uganda. Such factors have propelled the champions in the six successful years. If the existing factors remain constant this could possibly be just the start of the City Oilers era.